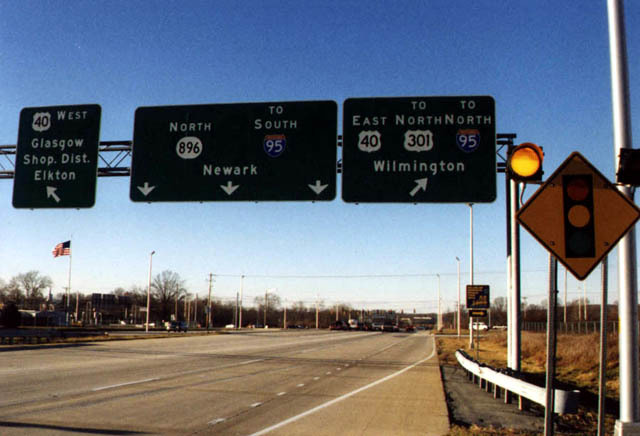 The BGS is in error, as this intersection is US 301's northern terminus. US 301 spends its northernmost mileage duplexed with DE 896. Photo by Alex Nitzman.